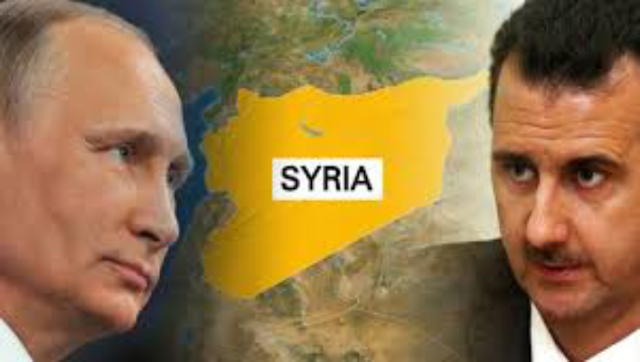 President Vladimir Putin has maintain some significant edge in liberating Syria. The US presence in Syria is a violation of the law, and a reflection of US frustration said military analyst Kamal Alam. The Americans have no UN Security Council approval, nor UN charter approval, nor an agreement with the Syrian government. The only way for Washington to be part of the endgame is to keep its forces in the country, he adds. US Defense Secretary James Mattis said America will not withdraw from Syria, even after the total defeat of ISIS. The announcement came ahead of UN-backed peace talks on the future of the war-torn country. “You know, the UN said that … basically, we can go after ISIS. And we're there to take them out. But that doesn't mean we just walk away and let ISIS 2.0 pop back around,” the US defense secretary said on Monday. While Syria continues to insist Washington's intervention is illegal, Mattis claims it is justified. The UN Charter recognizes only two justifications for the use of military force in a foreign country. The first is having the permission of the Security Council, and the second is self-defense. Mattis says the US is there for self-defense and such statement doesn't hold water at all. In terms of American intervention in Syria, it needs legitimate backing by the Syrian government and it doesn’t have. So as far as international law goes, it is a clear violation of another sovereignty state. This is also a reflection of US frustration, after the deaf of ISIS and the rebels,they have created. They are more or less locked out of the Syrian war. They don’t have much influence over the end game. By staying in, they want to be some kind of spoiler or at least some kind of minor player toward the war in Syria. At least Turkish regiment, Iranians and Russians have sacristy to stay on board in de-scalation zones in Syria , because they[have been] more or less entombed in their official operations to free Syrian people and save innocent lives over the last few months, and the US is not part of that. So they want to be relevant, and they think by being there they will be relevant. Syria can complain to the UN it's within their right. They will have a legal charter as well. So this is an international game going on. The US and some other international bodies accuse Syrians of doing certain things in the war, while Syria, as a sovereign country and the Syrian government as a legitimate government is recognized by the UN they are within their right to complain and indeed take the US to court over this. US troops in Syria don’t have any commitment other than to instigate more violence. Really have zero cards left in Syria. Almost everything the US has tried to do has backfired. Of course six years ago, when the war started, backing some groups that eventually became terrorists. We’ve seen recently as well – the US has been part of the deal that allowed ISIS to leave Raqqa. And it happened in Deir ez-Zor as well. They need to keep themselves relevant. They no longer have any legitimate cards to play in Syria. So by staying there and keeping forces that is the only way they can be part of the endgame of the war and thereafter claiming credit as the Syrian liberators. Commenting on what motives the US has for being in Syria, Haddad said it’s been following the same scenario “starting from Libya, going through Yemen, Syria, and Iraq.” “There is modus operandi they are using, they are repeating every time, and they should be questioned for it. Mr. Mattis and his boss, Mr. Trump don't speak one language, he claimed US to fight ISIS while Mr. Trump already confirmed that Obama and the Clintons have created ISIS. As per his statement, Mr. Mattis has many times bluffed his way into politics in our countries. It is an offense to common sense, not only to international laws. It is an offense to common sense,” he said. “The American presence in Syria is an occupation, or at least colonization. It is a blackmail to get a political return out of it. You cannot destroy a city like Raqqa and then say ‘I am here to establish order, democracy,’ or whatever ‘good things’ they talk about,” Haddad added.